Yan Yean Road between Diamond Creek Road and Kurrak Road in Plenty. Image courtesy of Peter Renshaw. The Yan Yean Road upgrade project will modify the existing road to a straighter alignment. Image courtesy of Peter Renshaw. The Yan Yean Road upgrade project will remove congestion and enable smooth flow of traffic. Image courtesy of Peter Renshaw. The Yan Yean Road upgrade project primarily involves widening of the 3.9km-long section between Diamond Creek Road and Kurrak Road in Plenty, Australia. The project is being executed in two stages, of which the first phase involves upgrade of path between Diamond Creek Road and Kurrak Road, while the second stage will upgrade the existing road north of Kurrak Road. The project will widen the existing road to four lanes to reduce traffic congestion. The carriageway will also be transformed into a straighter road, while a wider shared cycling and pedestrian path will be built on the western side of the road. The undivided single-lane Yan Yean Road carries 24,000 cars a day, which has been causing congestion and slow travel times at peak hours. The road also witnessed 45 crashes between 2010 and 2015 due to poor driver visibility. The traffic on Yan Yean Road is estimated to increase by 10,000 vehicles a day by 2046. 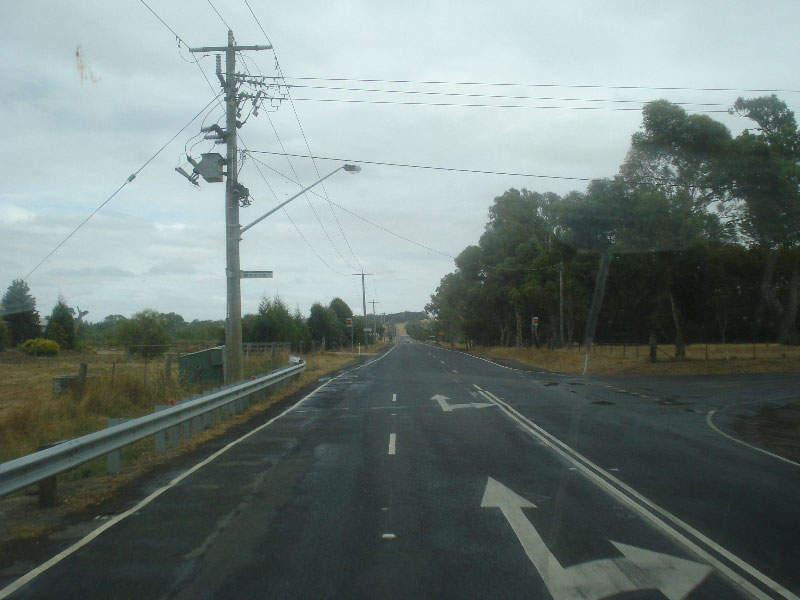 VicRoads unveiled the design concept of the Yan Yean Road upgrade to resolve the issues in September 2016. The single-lane carriageway will be replaced by a two-lane road to ease traffic congestion during the first stage of the upgrade. The first stage also involves the improvement of intersections at River Avenue, Memorial Drive, Diamond Creek and Kurrak roads. Safety barriers, a 2.2m-wide median strip and a 1.2m-wide footpath on the eastern side will also be constructed. The tender phase of the project was concluded in March 2017. Construction began on the second stage in December 2017 and is scheduled for completion in mid-2019. The first stage will also witness the installation of new traffic lights to provide better visibility to drivers, pedestrians, cyclists and public transport users. A roadside drainage system and new bus priority lane at the intersection of Yan Yean and Diamond Creek will be built under the project. The upgrade will enable pedestrians to commute to bus stops through new refuge islands. Service roads will be constructed near Memorial Drive and Cottage Kennels. 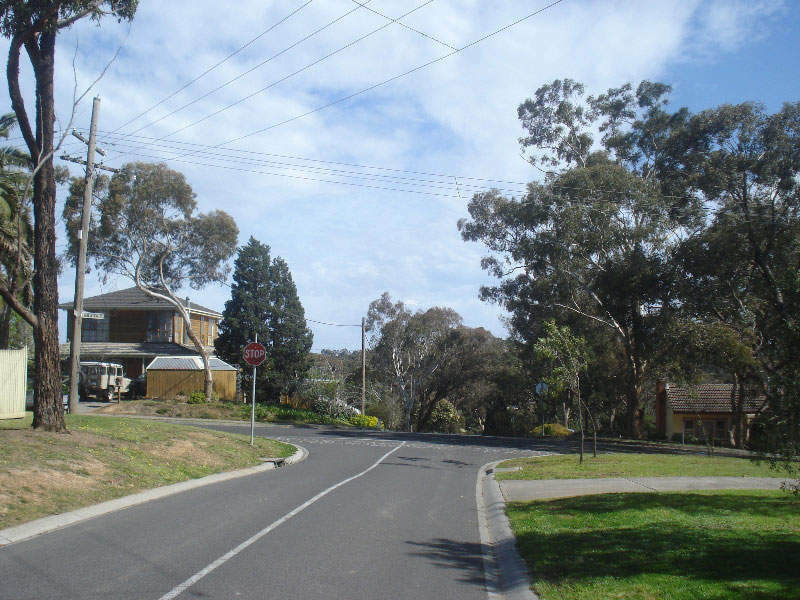 The second stage of the project involves the upgrade of Yan Yean Road north of Kurrak Road. The environment management, assessment of trees and plants, clearance of trees and vegetation, as well as environmental and community initiatives will be implemented in the second phase. VicRoads is currently investigating the design options and technical requirements to determine the scope of the second stage of works. Scheduled for completion by the end of 2020, the phase also includes environmental and cultural heritage assessments to develop better design. The road upgrade works will enhance safety and driver visibility, while minimising the risk and impact of head-on crashes and run-off-road crashes. The upgrade will also reduce the traffic congestion in the stretch between Diamond Creek Road and Kurrak Road. Pedestrian movement will be enhanced with the additional traffic signals and footpath. The Yan Yean Road upgrade project involves an investment of A$227.8m ($173m) by the Victorian government, including A$131.2m ($100m) and A$96.6m ($73m) for the first and second stages of the project respectively. 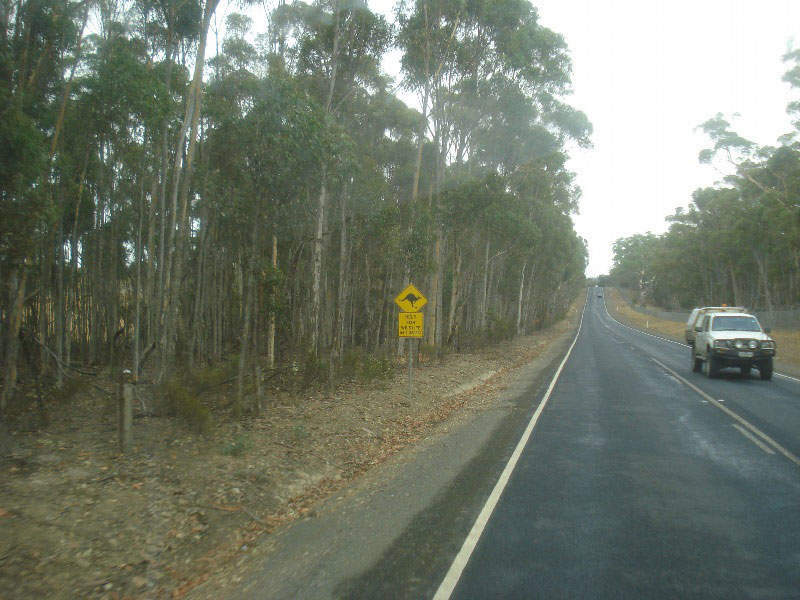 WSP USA was selected by The Roads Corporation of Victoria (VicRoads) to conduct the Yan Yean Road Access Management Study (YYRAMS). BMD Group was contracted for the first stage of the project in October 2017. The award-winning, Stripe Hog® is the most advanced road marking removal system in the industry today. 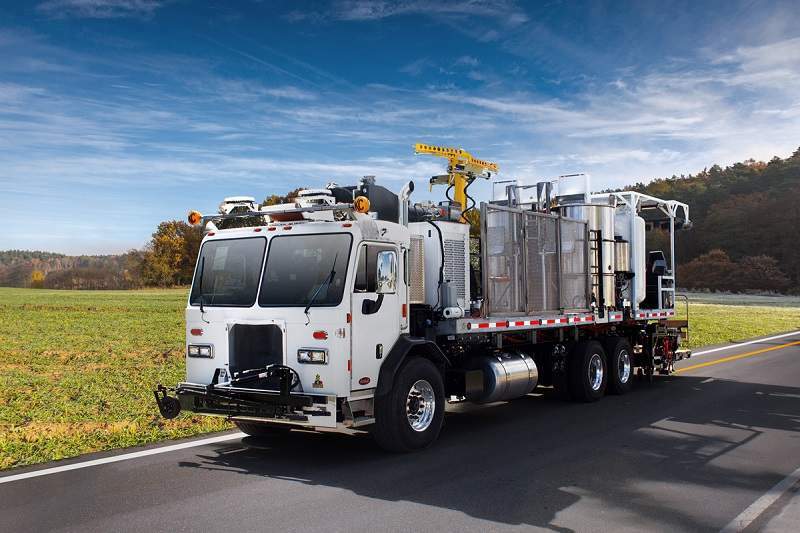 No other system offers the outstanding combination of speed, cleanliness, safety, and cost efficiency, all on a single truck chassis. This thermoplastic line marking truck comes fully equipped with a patent-pending processing plant called the Hog Melter that is capable of doubling your daily production. The Rumble Hog RH7500 is a multi-purpose machine. It can grind pavement markings, cut grooves for in-laid pavement markings and cut rumble strips. 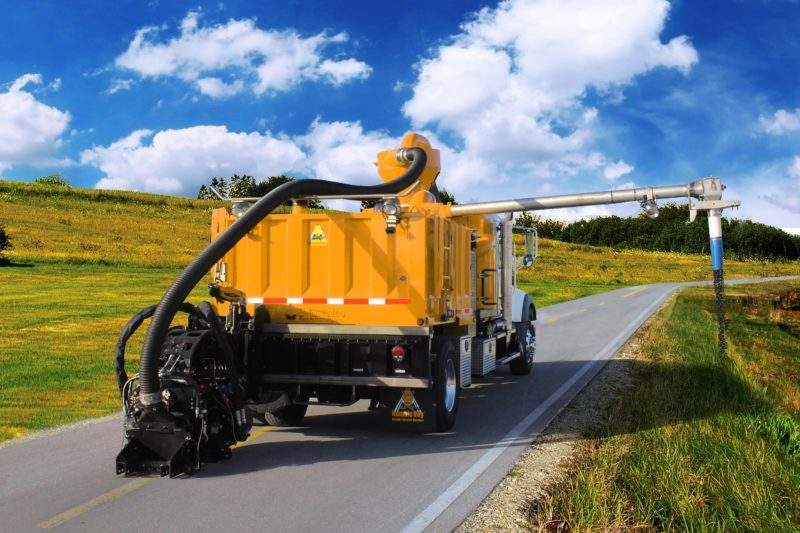 During Grinding and Grooving, the Rumble Hog can make use of the offloading augur system to simultaneously vacuum debris and dump it along the side of the road.